Several news outlets reported yesterday (here and here) on the lawsuit filed in the U.S. District Court for the Central District of California by Friendly Family Productions, LLC (“Friendly”) – the production company behind the NBC television series Little House on the Prairie – against Little House on the Prairie Inc., the nonprofit group that runs The Little House on the Prairie Museum located just outside Independence, Kansas, alleging trademark infringement, unfair competition and trademark dilution. See Friendly Family Production LLC v. Little House on the Prairie, Inc., Case No. 08-cv-06602 (C.D. Cal. Oct. 7, 2008). 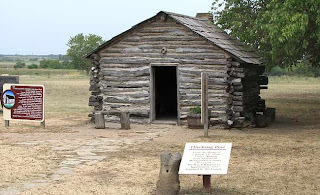 The museum is located on a small farm in Kansas where Laura Ingalls Wilder, the author of the book “Little House on the Prairie,” once lived from 1869 and 1871 and includes a replica of the family’s log cabin. The museum attracts 12,000 and 15,000 visitors each year and makes about $90,000 per year – enough to cover the museums expenses. The replica of Laura Ingalls Wilder's family cabin. The museum also happens to have two of its own registered trademarks for the mark LITTLE HOUSE ON THE PRAIRIE – one for various puzzles, toys, and games (claiming first use as early as December 1, 2004) and one for clothing (claiming first use as early as October 1, 2004). Apparently, Friendly went after the museum after negotiations broke down between Friendly and a Minneapolis-based producer of a stage musical based on the “Little House” book. The producer raised concerns about finalizing a deal with Friendly because of the claims by the museum to own the name LITTLE HOUSE ON THE PRAIRIE. Friendly supposedly offered the museum $40,000 to acquire the trademarks held by the museum and to change the name of its official website (http://www.littlehouseontheprairie.com/) and its online store (http://www.littlehousestore.com/), but the museum refused. Friendly claims to have acquired the merchandising rights for the name "Little House on the Prairie" as well as the right to exploit the book on television, motion pictures and theme parks from Ingalls' heirs in a 1974 deal. However, it was only recently that Friendly bothered to even file applications to register its rights to the mark LITTLE HOUSE ON THE PRAIRIE. 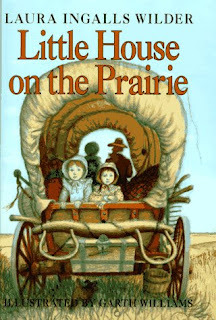 Having apparently been caught off guard by the museum’s trademark registrations, Friendly recently filed two of its own trademark applications for LITTLE HOUSE ON THE PRAIRIE for video recordings (claiming first use in 1981) and entertainment services, namely an ongoing television series (claiming first use back to March 1974). The applications have yet to be examined. The lawsuit seeks to enjoin the museum from using the LITTLE HOUSE ON THE PRAIRIE mark as well as unspecified damages and the museum’s profits from use of the mark. While not mentioned in the articles, I would imagine that Friendly also seeks to cancel the museum’s two trademark registrations. Do you think there is precedent set by The Lizzie Borden Museum case recently settled in MA? Sounds like a very large company (Friendly) going after a small non-profit to me. Do judges in these trademark cases usually favor larger companies over non-profits?